Oscar-winning filmmaker Alfonso Cuarón (Gravity) should find himself back in the awards arena with his latest film, Roma. Netflix has released the film’s official trailer leading up to Roma‘s limited theatrical release. Writer/director Alfonso Cuarón’s most personal film to date has been selected as Mexico’s official Foreign Film Oscar submission. 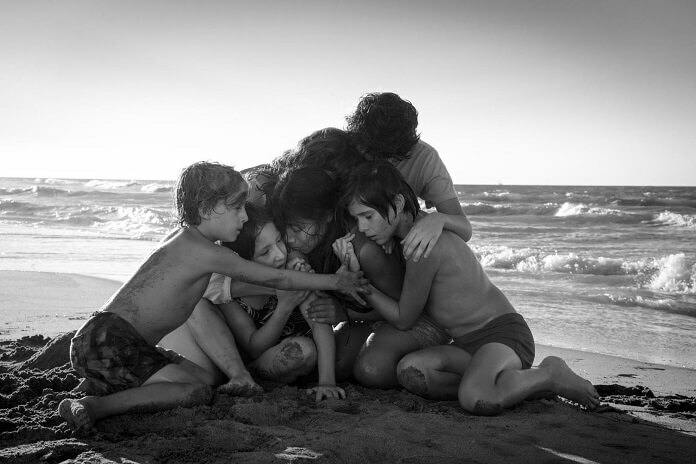 During its festival run, Roma took home the coveted Golden Lion at the 2018 Venice Film Festival. Cuarón’s drama was also nominated for the Best International Feature Award at the Adelaide Film Festival and it was nominated for the Best International Independent Film at the British Independent Film Awards. Gotham Awards recognized Yalitza Aparicio with a Breakthrough Actor nomination, and the Toronto International Film Festival nominated Roma in multiple categories. In addition to first-time actress Yalitza Aparicio, the cast includes Marco Graf as Pepe, Daniela Demesa as Sofi, Marina De Tavira as Sofia, Diego Cortina Autrey as Toño, and Carlos Peralta Jacobson. Produced by Esperanto Filmoj and Participant Media, the behind the scenes team includes production designer Eugenio Caballero and costume designer Anna Terrazas, with Cuarón handling the director of cinematography duties and co-editing Roma with Adam Gough. Netflix is releasing Roma in limited theaters beginning November 21, 2018 in Los Angeles, New York and Mexico. The film will expand into Toronto, London, and U.S. cities on November 29th. Roma will make its premiere on Netflix on December 14th.